For all South Indian food lovers living away from India, this is probably a familiar situation. You look for it in nearby Indian grocery stores, annoyed having to buy what your mom casually prepares at home. You are unable to fore go this from your daily/weekly menu either. 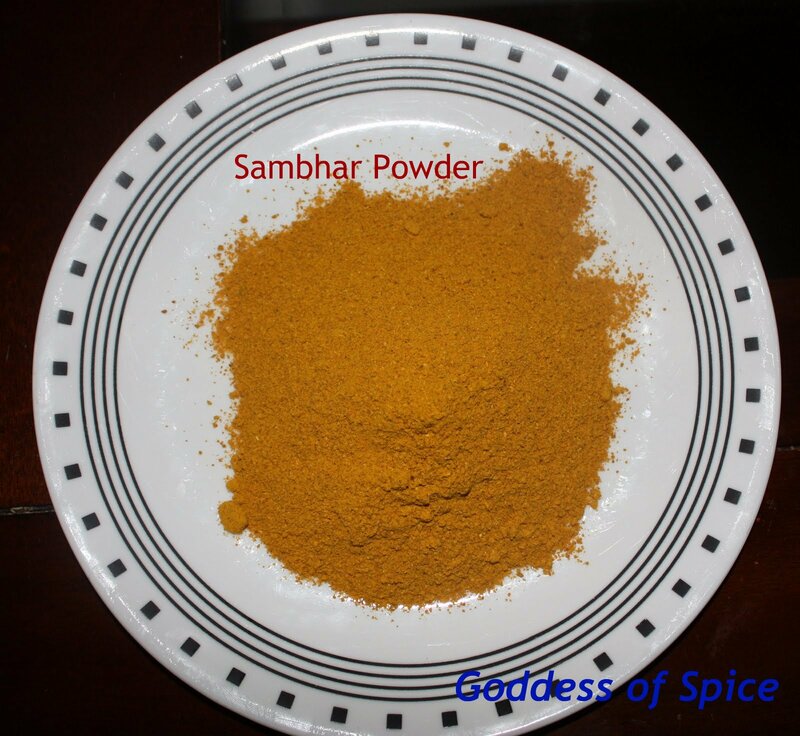 Yes, it is a little ingredient that is a vital part of your daily food - here comes the recipe for Sambhar powder. As kids, we don’t even care to know how our moms prepare food. As teenagers, out of mere curiosity, some of us may learn one or two recipes of our favorite dishes. But as we grow older, cooking becomes an integral part of our lives and is a major responsibility. Home food is the harmless food that can never upset our body because on top of the collection of ingredients, it is fortified by a generous dose of love and affection. When it is our turn to be the nourisher-in-chief of the family, we understand this better. We also understand the effort behind cooking and the importance of getting it right. And that’s how I felt the need to learn making sambhar powder. Here we go. No more shelling out money to buy sambhar powder from grocery stores. No more including sambhar powder packets as a part of luggage from India. 1. On low heat, roast toor dal, channa dal, urad dal, pepper, coriander seeds, dried red chillies and fenugreek (each of them separately) until they turn light brown. 2. Allow them to cool. Best way is to spread them on a plate. 3. Now, put them in a mixer (anything but the juice mixer) and blend them. 4. Make sure the powder is not too soft. It should be slightly coarse. 5. 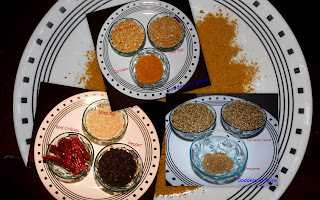 Add turmeric powder to the ground sambhar powder. Now, we are all set ready to make authentic Sambhar. And yes, never underestimate the use of Sambhar powder. It can be a good substitute for rasam powder, curry powder, etc. I was looking for vegan recipes and one for Sambar powder. I will try it. thank you!